I love summer, the clothes, Popsicles, and the summer time fruit. Just something about some nice cool watermelon on a hot summer day to cool down and add to the memories. Problem with watermelon is that it takes forever to cut up and I end up with a huge mess on my counter-top and very sticky hands. Time to find some summertime solutions. Mommy Moments with Abby's review of the Professional Evergreen Watermelon Cutter: I was surprised how well this cut the watermelon. 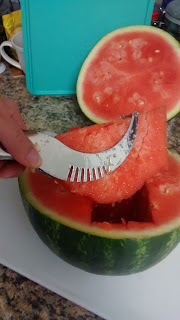 I wasn't sure if it would work and it took a few tries to figure out that I needed to squeeze it to make single cuts and that letting it stay open created the sliced pieces. Push all the way down and then slide it toward you with the connected end going along the bottom of the intended cut. 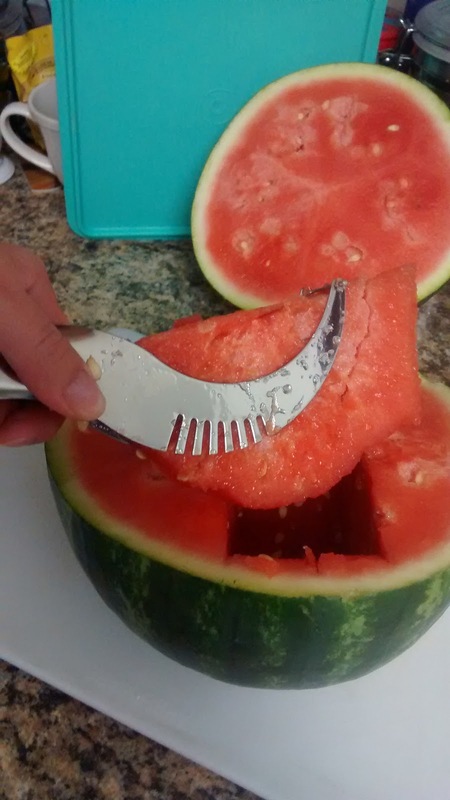 This cuts the bottom of the slice separating it from the rest of the watermelon. 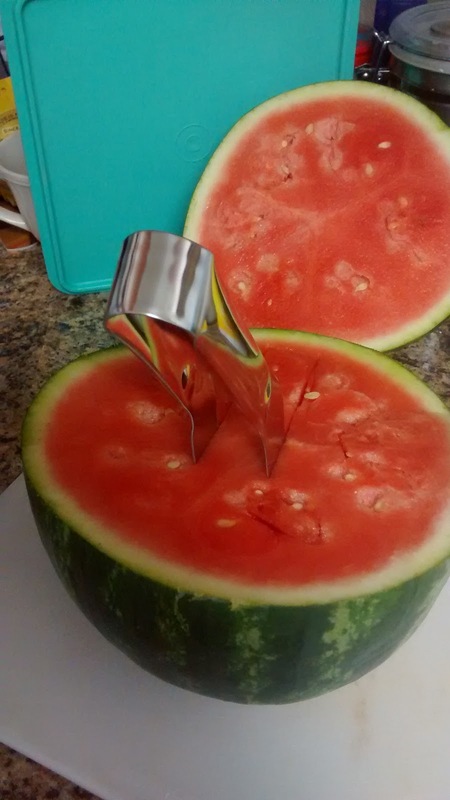 The slicer also turns into watermelon tongs. Once you cut a slice you can then use these to grab it and place it on the plate. A slight squeeze is all that you need or you can break the slice or just smash the juice out of it. It cut down on the slicing time by at least half. 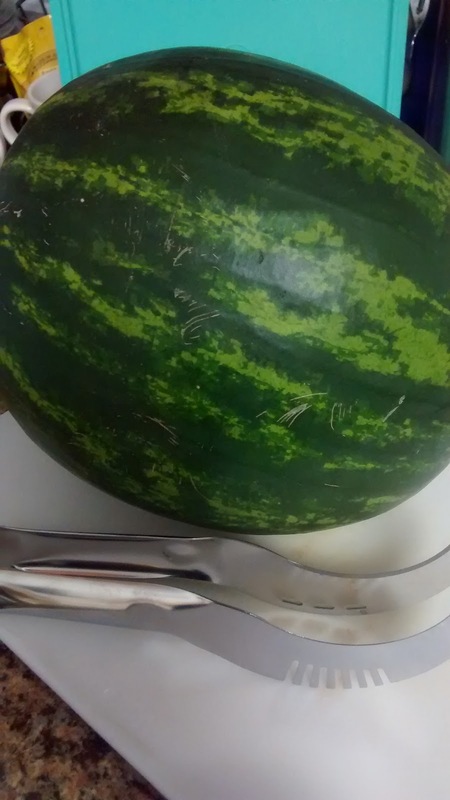 I was really surprised at how quickly I was able to get the entire watermelon carved and served. 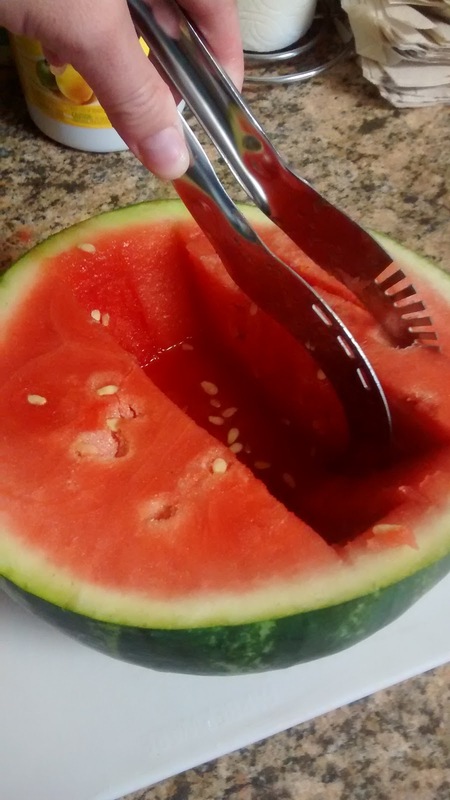 The mess was less as well since I was able to slice it from the inside of the melon itself. Disclosure: I received this product at a discounted rate or for free in exchange for my honest opinion. All opinions are my own.